There are three main ways in which you can use the Custom Facebook Feed WordPress plugin to display albums from your Facebook page; from your Facebook Photos page, from your Facebook page timeline, or by embedding a specific Facebook album into your page. This method will pull the albums directly from your Photos page on Facebook and display them in a grid format similar to how they are displayed on Facebook, and as you can see in this demo. When an album is clicked on, the other photos from the album are displayed at the bottom of the pop-up lightbox. 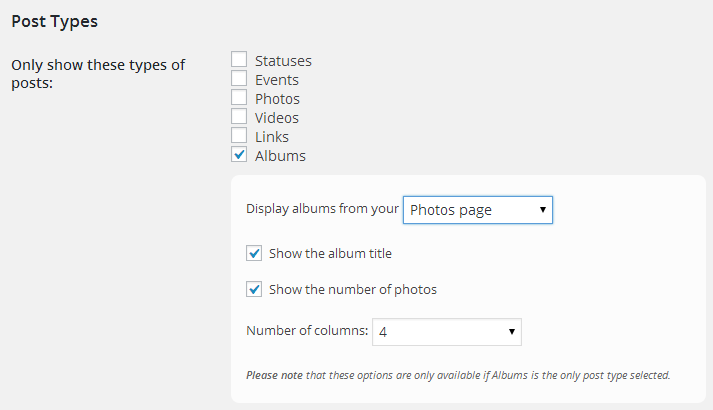 You can display albums from your Photos page in two ways; using the plugin’s Settings pages or using the shortcode options. Click on the plugin’s ‘Customize’ page, and in the ‘Post Types’ section uncheck all other post types apart from ‘Albums’. You can then select to show albums from your ‘Photos Page’. If you create an album, add photos to an existing album, or if you upload multiple photos to your Facebook page in one go, then Facebook creates an “album post” on your Facebook page timeline. You can use the plugin to get a batch of posts from your Facebook timeline and then filter through them and only display the ones which are album posts. The albums will be displayed in a “post” layout, as shown below. You can display album posts from your timeline in two ways; using the plugin’s Settings pages or using the shortcode options. Click on the plugin’s ‘Customize’ page, and in the ‘Post Types’ section uncheck all other post types apart from ‘Albums’. You can then select to show albums from your ‘Timeline’. 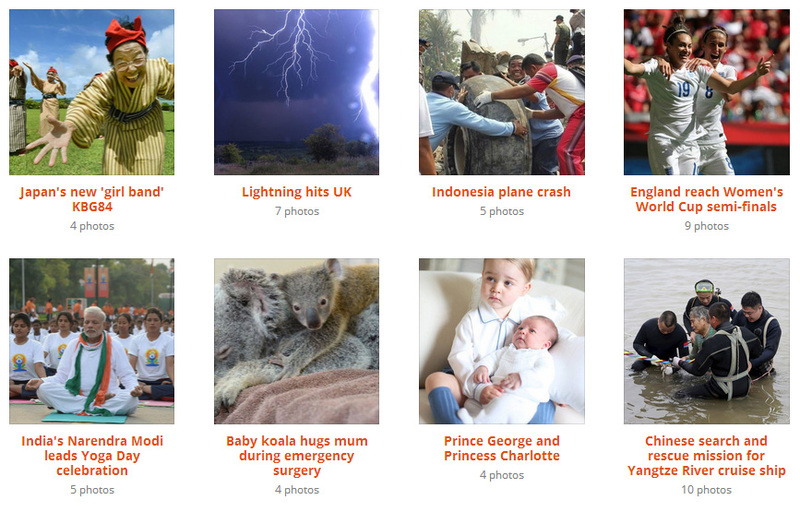 You can use our Album Extension to embed the contents of a specific Facebook album into your web page. This will then display a grid of the photos from within that album and allow you to view them in a pop-up lightbox. See the Album Extension page for more information.